A new rumor says the next generation iPhone will use quite a lot of layers of metal on its back (the back of the iPhone 5). As quoted from Info Tech, Thursday (12/29/2011), Boy Genius Report says the new generation Apple's smartphone is likely to be present in the autumn of next year. 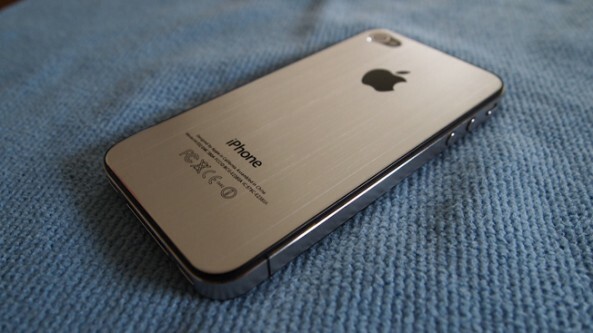 In addition, a new construction that blends aluminum on the back and the material is made of rubber or plastic on the sides, will connect the front and back of the iPhone 5. Of course, this is not the first time Apple is rumored to be pairing with the metal back to its iPhone in the future. Citing sources from Foxconn, who did not want to be named, a report from 9to5Mac in March last year, that Apple when it was brewing a device model that has a flat back and made from metal. Then, in August, when it was rumored that states the next iPhone comes with a screen smaller than 4-inch, DigiTimes also reported on the back of the iPhone device will be converted into a metal chassis, instead of glass. In fact, that occurred in October is the unfolding of the iPhone 4S, with some increase in hardware and software. But not different from its predecessor, the iPhone 4S still using glass materials for the back. The iPhone 4 and 4S users who are interested in using the metal back on his smartphone, can get it from third-party chassis manufacturers. These options as well as other unauthorized modification to open the device, thereby removing the iPhone warranty. I have heard that iPhone5 will come with tons of features. Iphone5 will have 4" inches screen so We can easily use application with large screen and iPhone5 will come with aluminum coated body. Looks really cool and expensive with that case cover! From my point of view it is a good step taken by the company. The iPhone will be safe in the metal back cover. Also its look will be very smart. Keep up the good work, I read few blog posts on this web site and I believe that your blog is very interesting and has got circles of superb info. I hope this will not increase the weight of the iPhone. What is lighter, a metal back or a glass back? Even though, the metal back looks shinier but I prefer glass over metal for my iPhone at least.